Rusty Perez is a singer/songwriter/composer/musician who has been playing music for audiences in his living room, in church and public venues since the age of six. Though primarily a singer and guitarist, Rusty plays several instruments to one degree or another. "I'll try playing just about anything." From harp to harmonica, percussion to piano; "I'll try and coax a sound out of an empty water bottle if that's the only thing at hand." 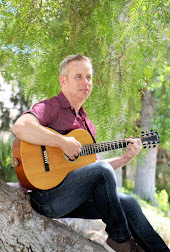 When playing live, Rusty primarily relies on guitar and vocals, occasionally pulling out a harmonica, and sometimes playing over layers of sound he creates with foot percussion and loops of guitar and rhythmic accompaniment. Rusty has self-produced two albums; a Christmas album and a collection of original music. In the studio he plays each instrument individually on many recordings. "Everything is a work in progress and as a self produced musician, sometimes I settle. I'm always learning and growing though." performances range from oldies to the present. "I enjoy performing music with positive uplifting messages." Currently, Rusty is focusing much more on his songwriting. Studying with music industry professionals such as Robin Frederick, he has begun to develop his craft. "In 2017, I found myself being turned away from some of the things I had hoped to accomplish as a musician. In speaking to some of my long-time mentors, I began to realize that maybe I needed to accept closed doors as a blessing and embrace and publicly commit myself to songwriting and find a way to reach a broader audience."